Memory testing and assessment is a critical component of how we determine how well a person is learning or retaining previously learned information. We really need to have a starting point which helps us understand whether the person is improving, staying the same or getting worse over time. 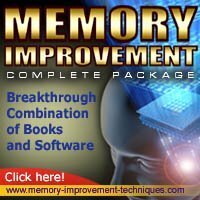 Various memory testing methods help us to know. But how is this really measured? So what are the various assessments that are commonly used? Electroencephalogram (EEG)is gross recording of the electrical activity of the cortex. EEG's are commonly done to determine abnormal spikes of electrical activity associated with epilepsy. BUT abnormal activity in memory centers can be an indicator of problems with learning. Quantitative EEG (qEEG) is a newer form of EEG which looks at different frequency bands of electrical activity and quantifies it. The purpose here is to take that information and then attempt to train the brain to be more effective with Neurofeedback training. 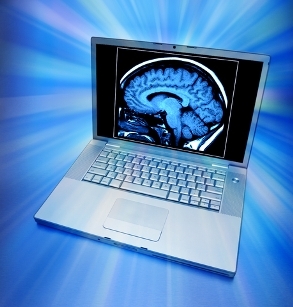 Neuropsychological Tests look at brain functioning and compare it to a standard. Tests designed to look at learning and retention are used by neuropsychologists. These tests involve some form of objective memory assessment or test rather than some subjective report alone. The minimum requirement of such a test is that they involve delayed recall of visual or verbal information. This must involve a sufficient delay in time to determine recall. These tests often attempt to determine if the information is encoded, stored and can then be retrieved. See Memory Defined for definitions of memory types. IMPORTANT: Memory tests should be ordered and interpreted by a psychologist and usually a specially trained Neuropsychologist. Neuroimaging has become extremely important in helping us to understand how learning, retention and recall occur in the brain. Not only is neuroimaging used to diagnosis brain dysfunction but it has allowed neuroscientist to study and research the brain in ways not previously thought possible. Functional Magnetic Resonance (fMRI) refers to an MRI using additional methods to see what areas of the brain are active or functional by their use of oxygen. Positron Emission Tomography (PET) is an imaging method using radioactively tagged glucose (sugar) or oxygen to look at the metabolism and activity of neurons (brain cells). Single Photon Emission Computed Tomogram (SPECT) is a functional neuroimaging technique using radioisotope tracers to assess brain perfusion. What does this really mean? It again is looking at what areas of the brain are active during learning, for example. SPECT is less expensive that PET and used in more places. Most common tests with respect to neuropsychology are a complete blood count (CBC) and erythrocyte sedimentation rate (ESR). These test are useful in detection of anemia, infection, and inflammation which may result in abnormal mental states, toxic effects of substances, including medications, etc. So as you can see memory testing and assessment is vital to determining brain health and memory loss. Clinical Neuropsychology: A Pocket Handbook for Assessment by Peter J. Snyder, Paul D. Nussbaum, and Diana L. Robins. A Compendium of Neuropsychological Tests: Administration, Norms, and Commentary by Esther Strauss, Elisabeth M. S. Sherman, and Otfried Spreen.